PT Solutions held its 7th annual Allatoona Triathlon on June 25 at the Dallas Landing Park on Lake Allatoona to raise money for the Rally Foundation for Childhood Cancer Research. In addition to being the Presenting Sponsor, Lenz provided social media, public relations, and advertising services for the event. Along with producing a promotional video for the race, several Lenz employees were on sight the day of the triathlon in order to capture photos and videos. Shortly after, the Lenz team was hard at work to produce the post-race video. Lenz Media Coordinator Chelsea Hoag, who produced the video, explains the goal she had in mind while bringing the project to life. Check out the completed post-race video of the PT Solutions Allatoona Triathlon below! While Lenz has a long history of working with Atlanta-area festivals, 2017 marks our first year collaborating with the Atlanta Science Festival (ASF). In addition to social media, digital content, and marketing strategy services, the Lenz team had the pleasure of capturing the magic of #ATLSciFest 2017 through video as well. The goal? To demonstrate the value of sponsoring this great festival. Lenz Media Coordinator Chelsea Hoag produced the video. To achieve this goal, the Lenz team attended dozens of ASF events, spoke with festival organizers, and interviewed sponsors like Clorox, Delta, Google, Georgia Power, and the Metro Atlanta Chamber. The final product told the compelling story of the talent, effort, and passion that our community pours into the Atlanta Science Festival each year. 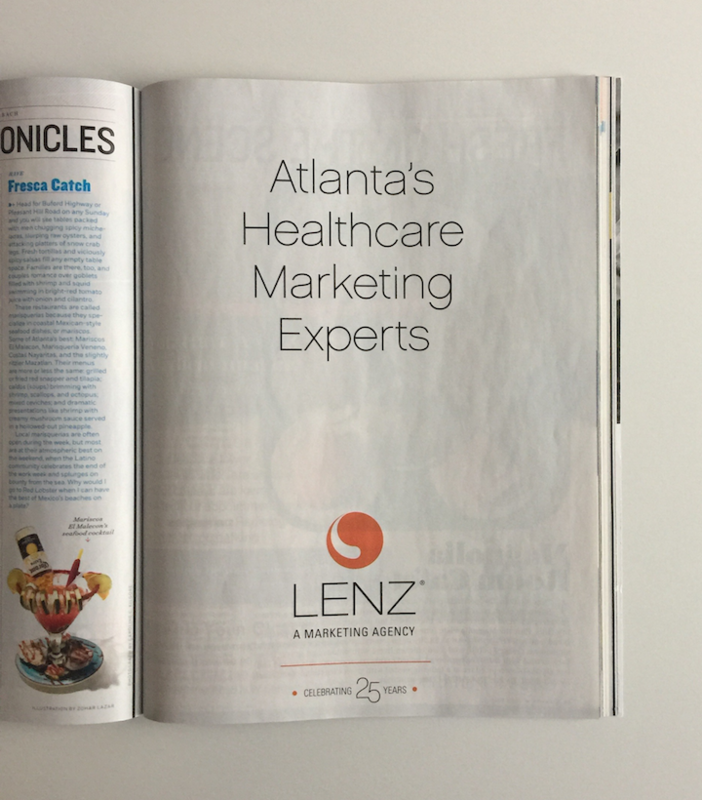 Lenz would like to congratulate the Atlanta Center for Medical Research for their recent achievements. ACMR was awarded the Community Design Award from the Atlanta Urban Design Commission, which recognizes organizations that make the community a better place to live in. The award honors ACMR for its renovated, state-of-the-art facility in Southwest Atlanta. 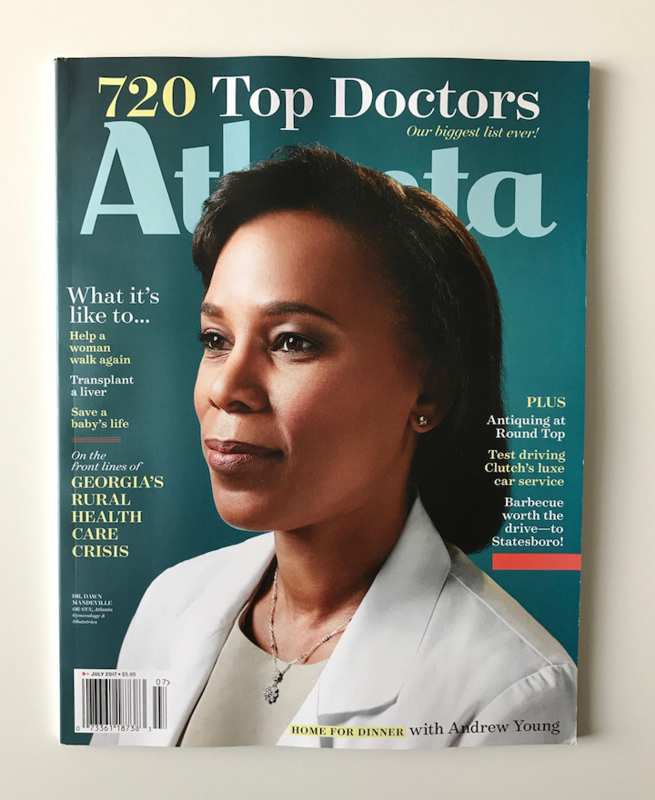 The center, which continues to be the leader of Atlanta’s medical research industry, boasts 150,000 square feet of space designed and dedicated to conducting research studies while offering 300 inpatient beds and the latest medical research equipment. Additionally, ACMR’s President, CEO, and Principal Investigator, Dr. Robert Riesenberg, was published in an article featured in The Lancet, one of the oldest and most recognized medical academic journals. The article “Brexanolone (Sage-547 injection) in post-partum depression: a randomized controlled trial” was featured online for the The Lancet’s website accompanied by an editorial by Professor Ian Jones of Cardiff University in the UK. Dr. Riesenberg was on the team that developed and published this article based on their research with the SAGE-547 injection. Lenz is proud to work with such an accomplished and well-respected organization. 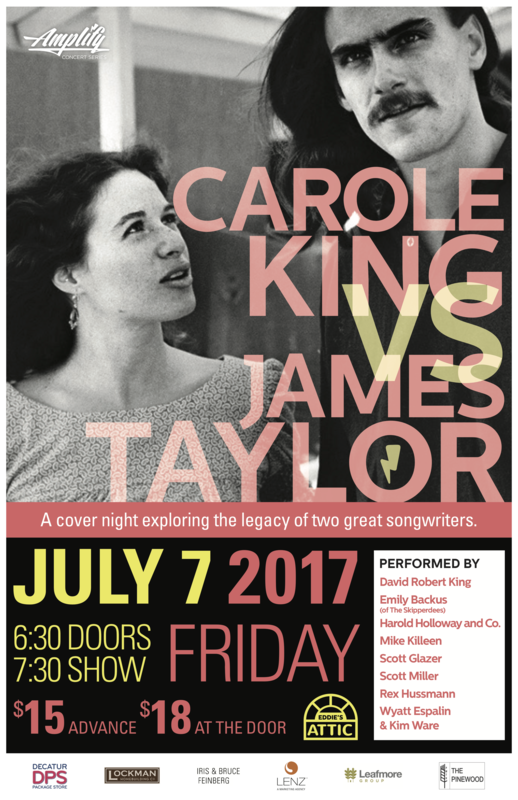 Lenz helped Amplify My Community raise $2,000 in a SOLD OUT Carole King vs. James Taylor cover night show on July 7 at Eddie’s Attic in Decatur, Georgia. From designing the show’s promotional poster to managing a social and advertising campaign, Lenz is proud to have helped produce such a successful event. 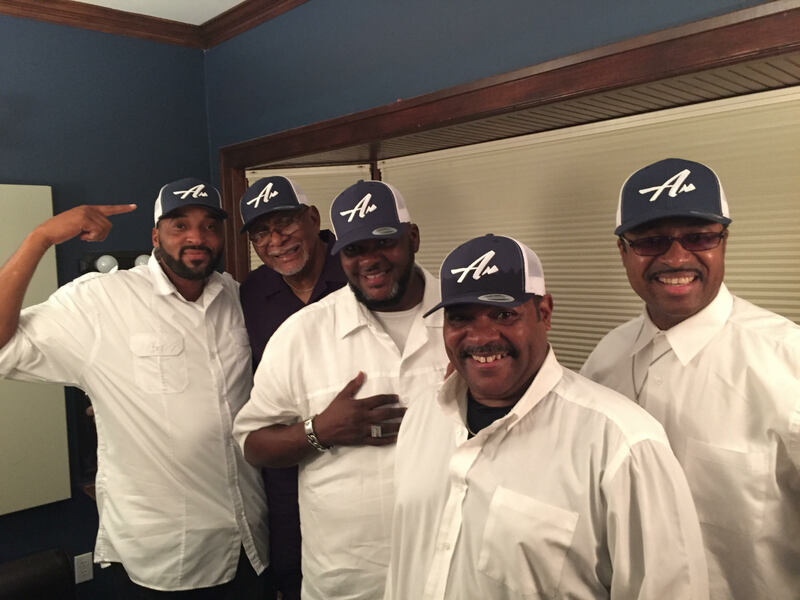 Check out the beautiful poster the Lenz team created along with a snapshot of Harold Holloway and Co. rocking their new Amplify hats. Who would have thought that a world-travelling, high-powered accounting professional working for a Fortune 50 company would give up her fast-track career to launch a business that she had absolutely no background in? That’s what Elizabeth Ellsworth and husband Carleton did in 1997, when they launched Affinity Stoneworks and Affinity Kitchen + Bath. And she and her customers across Atlanta are glad they did! For a year before launching her new company, Elizabeth researched many types of businesses that fit her and her husband’s particular skill sets. Her original plan was to get a company up and running, and then exit the business after two years and go back to the corporate world. During her research, a light bulb went off: She decided to launch a granite countertop business from scratch so she could build her company’s reputation from the ground up. There would be no short-cuts. The precision nature of the physical aspects of engineering countertops suited Carleton perfectly, and the beauty of working with the natural stone touched Elizabeth’s soul. She traces her passion and fascination with granite and nature back to her geology class at Auburn, which turned out to be her favorite class in college. Elizabeth’s favorite part of her job is connecting with people and making them overjoyed with their kitchens and baths. Often times when she is out and about, she will run into a former customer of hers, who will greet her with a hug, and say how much they still love their kitchen or bathroom project. She lives for this. Often times for inspiration, Elizabeth scouts Atlanta neighborhoods for interesting architecture and natural settings. She then walks around the neighborhoods for exercise while making mental notes of her surroundings. These walks help refresh and re-fuel her kitchen and bath design aesthetics. Once you meet Elizabeth and the crew at Affinity Stoneworks, you’ll immediately know you are about to have a rare experience compared with the other businesses in that industry. Her passion to make clients happy drives all of the decisions at Affinity Stoneworks, and for 18 years, that strategic approach has served her clients and her business well. 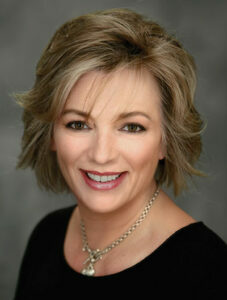 Now you know Elizabeth Ellsworth! 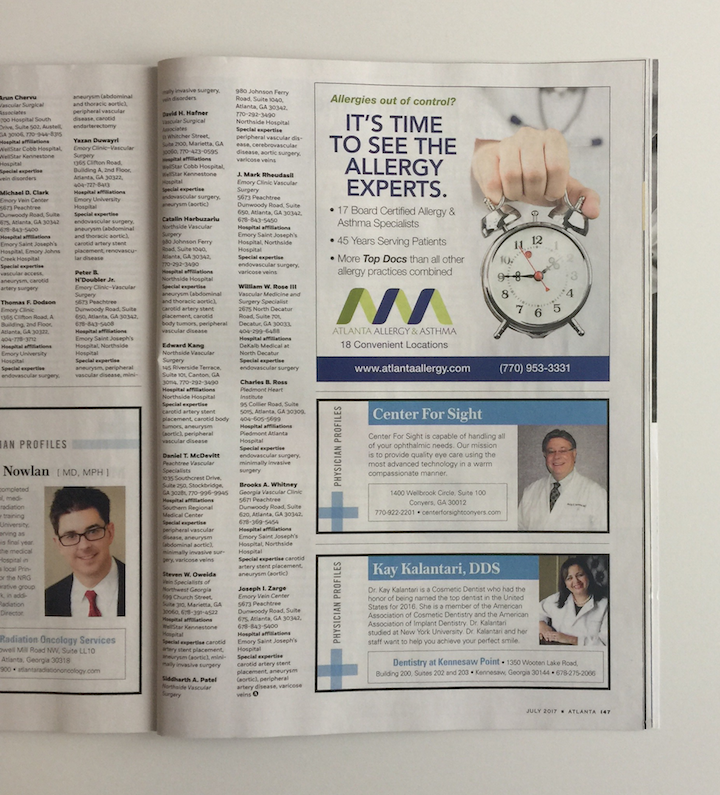 Have you picked up the July issue of Atlanta Magazine yet? Our creative fingerprints are all over it! 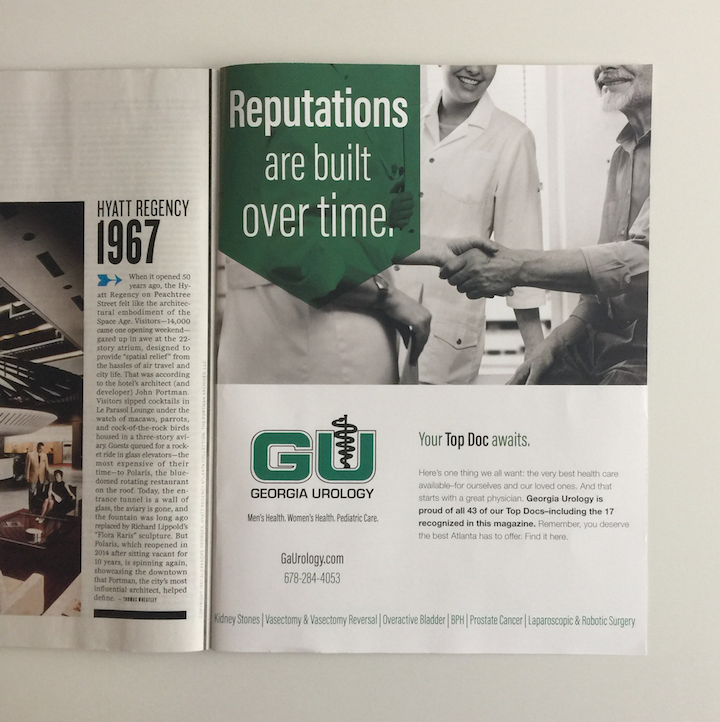 Check out these three ads we designed and placed in this Top Docs issue. Find the full issue here: http://bit.ly/2ty5rxc.